- TOP-SELLING CHILDREN'S PUZZLE - A challenging and colorful, swirly snail lets kids learn their numbers with each puzzle piece! - EDUCATIONAL TOY FOR TODDLERS - Our Number Snail Puzzle is an engaging puzzle game for toddlers that helps develop motor skills, number and color recognition. - NATURAL WOODEN TOY - Handcrafted from plantation-grown, sustainable rubberwood, BeginAgain Number Snail Puzzle is made from plants NOT plastic, for a healthier planet and healthier kids. 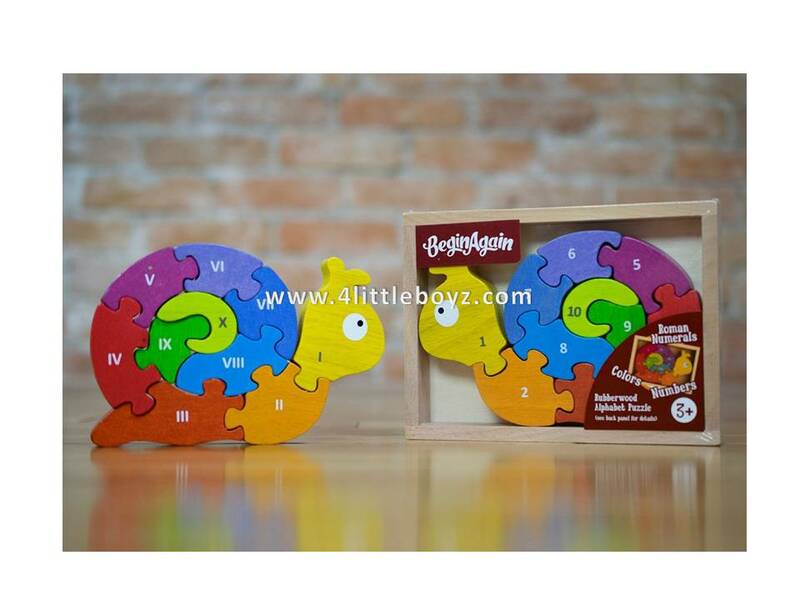 - JUST-RIGHT SIZE - BeginAgain Number Snail Puzzle package measures 6" wide x 5" long x 1" tall - sized just right for toddlers to play, learn, and travel! - BeginAgain DOES IT BEST - Based in Fort Collins, Colorado, BeginAgain designs eco-friendly, well-balanced toys that teach, challenge and let kids explore!